The new Abu Garcia® Revo® Rocket packs a punch when it comes to delivering high-speed performance. Featuring a new 10.1:1 rocket gear ratio, delivering 41’’ line per turn, the new Revo Rocket gives anglers speed, compact design and power all in one package. 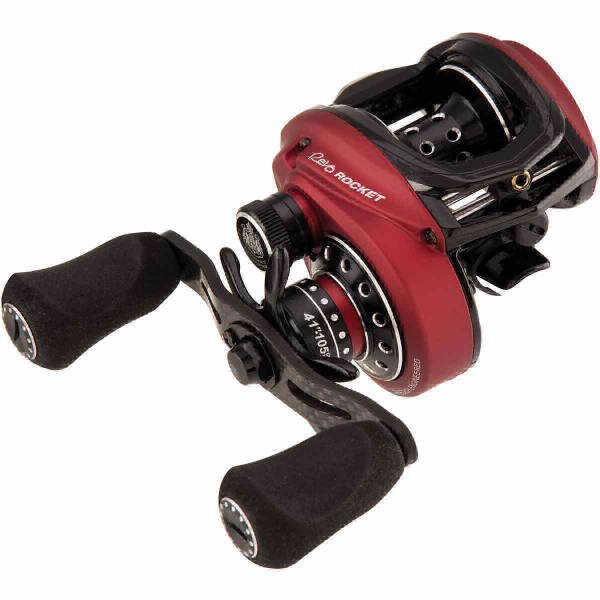 The Revo Rocket also features an extended handle with oversized EVA handle knobs, 10 stainless steel HPCR bearings, and an Abu Garcia Infini™ brake system. This is the ideal reel when a speedy retrieve is needed such as burning baits, picking up slack line or simply ending one retrieve to get the next cast placed quickly.